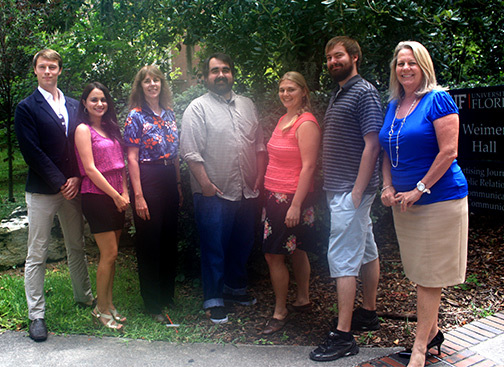 The lab instructors and I work with about 180 undergraduates each semester. The undergraduates and all of the lab instructors except one are Millennials. Nicki Karimipour is second from the left and I’m standing next to her. 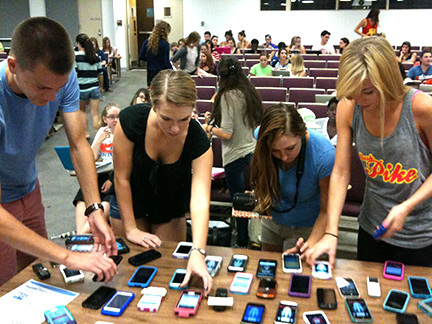 Every semester, I work with about 200 Millennials in undergraduate and graduate courses at the University of Florida. I also supervise teaching assistants, most of whom are Millennials. I just did the math, and that’s about 5,200 Millennials I’ve worked with in the past 13 years. When Nicki Karimipour, one of my teaching assistants and a Millennial herself, recommended that I read Dr. Meg Jay’s “The Defining Decade: Why your twenties matter — and how to make the most of them now,” I purchased the book. Nicki, a doctoral student in the college, said she thought I’d be interested in reading Dr. Jay’s discussion of Millennials. Nicki and I recently met for lunch to talk about our perspectives on the book and then extended our conversation in Google Docs. We thought you’d like to listen in on our conversation and hope you may have some comments you’d like to add. This post is the first one on our discussion of Dr. Jay’s book and our own views on the Millennials. Julie Dodd: What made you decide to read Dr. Meg Jay’s “The Defining Decade” and why do you think that college students and those in their 20s would be interested in reading the book? Nicki Karimipour: Before I knew about the book, I knew about Dr. Meg Jay (the author) from her wonderful TED Talk, “Why 30 is not the new 20.” After watching the talk, I decided to purchase her book because my curiosity was sparked from watching the video. I wanted to learn more. College students and people in their 20s would be interested in reading this book because she gives advice that is inspirational, but edgy and thought-provoking at the same time. Her anecdotes and tips are things you can incorporate into your life starting right now, which is gratifying, but she also provides tips that will benefit you in the long-run. She instills a sense of urgency in readers, while also empowering them. According to Dr. Jay, you shouldn’t wait for your life to begin — your life is happening right now. Living with intention is paramount. The choices you make in your 20s will, in many cases, set the stage for the rest of your life. Your major, your decision to attend graduate or professional school, your finances, your career path or job, your health, your mate, your friendships, your decision to start a family (or not). What has reading “The Defining Decade” taught you about the issues facing Millennials today? Julie Dodd: As a college faculty member, I try to keep in mind what my friends, college classmates and I were like as college students. The stress of class assignments and grades. Choosing a major and deciding what to do after graduation. Making good friends. Dating. The changing relationship between college students and their parents. Those are the ongoing concerns of young people, regardless of their generation group – Millennials, GenXers or Boomers. The discussions Jay has with her clients and shares in her book are a reminder to me that Millennials have a challenging situation with today’s technology in that they sometimes are too connected to their parents. College students and people in their 20s often are on the phone with their parents several times a day or texting them or Facebooking – or all of those. Some of Dr. Jay’s clients were involving their parents in almost every daily decision they were making – and rehearsing almost every conversation they were going to have with a boss. That’s quite a difference from my college experience, which was before cellphones and social media. As Dr. Jay explains to her clients, they need to know when to consult and confide with their parents and when they need to be more independent. Having the ability to have regular contact between parents and adult children can be a wonderful addition to life. So the issue is balance. Adult children need to develop their own independent problem-solving skills. Parents need to avoid becoming “helicopter parents,” swooping in to try and solve any difficulty their children are having. For example, I’ve shared Dr. Jay’s experience of having to advise a Millennial not to take her mother with her on a job interview. But that’s only happened once to me. I was interested in Dr. Jay’s discussion that many Millennials are putting off making big decisions. She warns Millennials that by delaying making big decisions that they will be putting more pressure on themselves in their 30s. We’ll continue our conversation about “The Defining Decade” and how it applies to our work with Millennials in our next post. We’d be interested in your comments about “The Defining Decade” or your own experiences as a twentysomething or someone (teacher, employer, parent) who is working with Millennials.